For hipsters and young listeners finding their musical identity, the initial thought of Atlanta rap can make stomachs turn. Phrases like "ringtone-rap" and "no substance" are thrown around carelessly by people who have only listened to a third of what the city has to offer. While there seems to have been an over-saturation of rappers obsessed with bling, cars, and clothes, it's important to remember that these are major labels exploiting just a small part of ATL culture. Not all of it is good, but the music most definitely has its place. Now for those mentioned above, a quick history lesson: At one point, in the 90's there were hip-hop collectives that spat socially conscious rhymes. Most of the rappers sent messages of unity, social awareness, and progression amongst African-American people. In the North, you had the Native Tounges, the West; Freestyle Fellowship and the Pharcyde and in the South, you had the Dungeon Family, which included the likes Goodie Mob, Organized Noize and the notorious Da Backwudz, the same dope group that brought you songs like "You Gonna Luv Me" and "I Don't Like the Look of It." 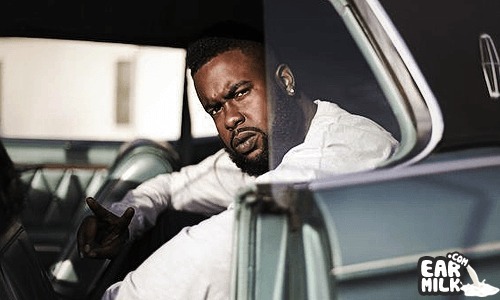 The group received a lot of accolades, and while in it, A.Leon was able to work with Big Gipp and Killer Mike among other names. A.Leon has a mathematical flow, sometimes rapping an entire song with a high-pitched digital voice. His quirky rhymes and funky samples are nostalgic and fresh at the same time, giving listeners something to like whether they're young or old. Tune in to what A.Leon's been broadcasting from the mothership below. A.Leon is the illest thing to invade Decatur in a long time. He plans on dropping an album and some more ish soon. If I were you, I'd stay tuned. You don't want to miss the ship do you? Keep Listening. Reminds me somewhat of Slim Cutta Calhoun in "Spaced Out" for some reason. Thank you. I really appreciate your love and support. EarMilk.com!!!! !